Amazing smudge and crease proofed formula infused with highly pigmented colors, that resists to water and hours. Soft feel texture that glides easily on the eye lid and provides fantastic pay off in just one stroke. 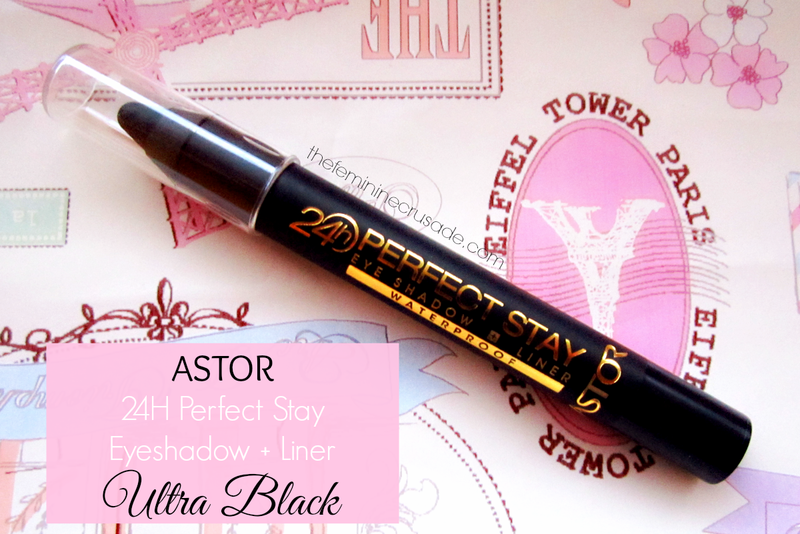 Astor Perfect Stay 24H Eyeshadow + Liner comes in 6 amazing colours out of which three have already been reviewed here. Today I have the fourth shade, Ultra Black. Ultra Black is a deep jet black with amazing pigmentation. I curse myself for not trying it earlier as it gives the perfect kajal experience. Super black and smudge-free! Since most eye pencils tend to wear out or smudge when applied on the waterline. And even more so, this jumbo pencil just glides on the skin. No tugging or pulling whatsoever. It is very similar to my Bare Minerals Round The Clock Eyeliner in terms of its creamy formula. As Astor claims, on my eyes it lasts quite long. I haven't tested it for 24 hours but for the 8 hours I did, it did not fade or smudge. But let me point out I have big eye lid space also. Although because of having a fairly huge tip, you cannot use this pencil as a fine or winged eyeliner. I use it for a smokey, smudged eyeliner or as a base for the perfect smokey eye and of course on my waterline fairly often. 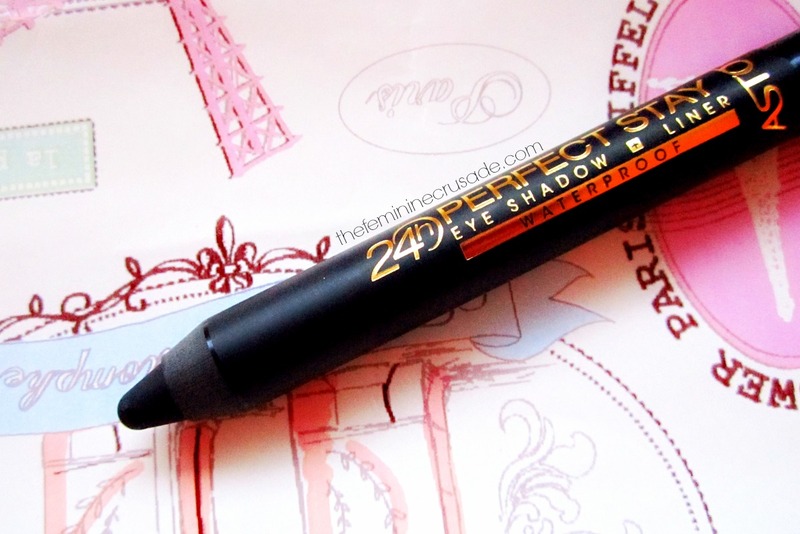 For a more in-depth review, head over to my last post about these Perfect Stay 24H Eyeshadow + Liners here. 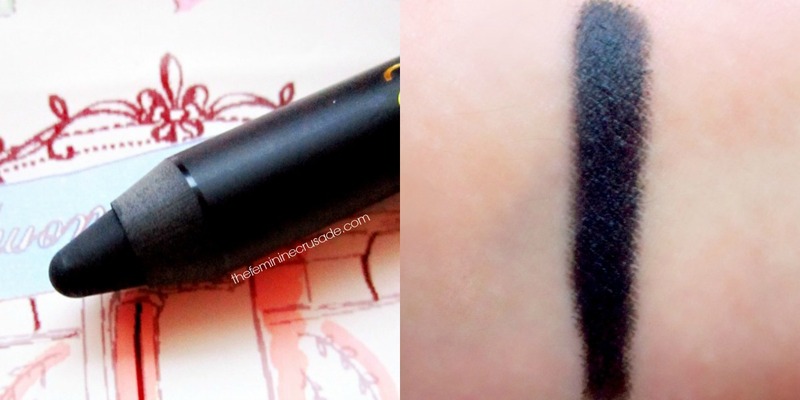 A smudge-proof, deep black eyeshadow and thick eyeliner is something which is never leaving my makup bag now.